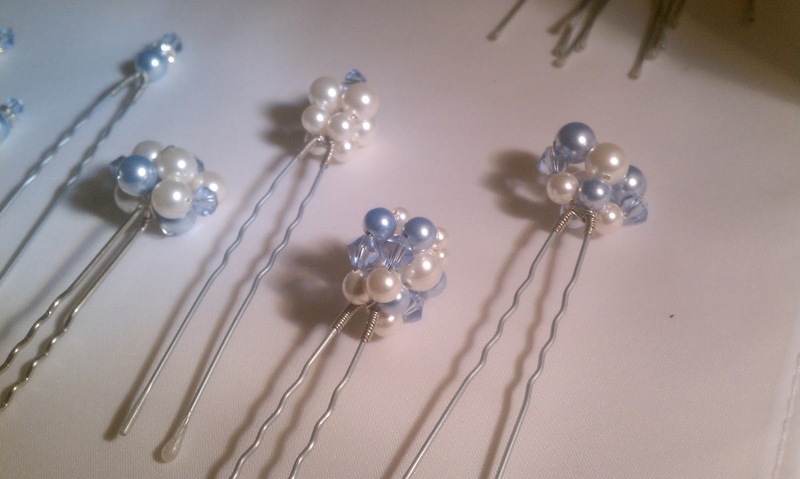 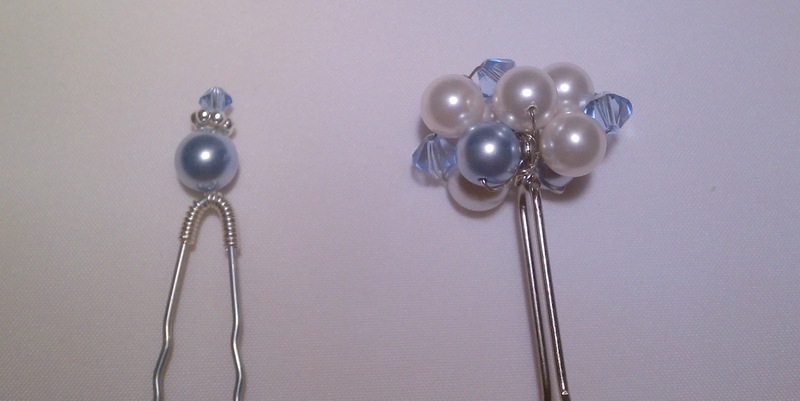 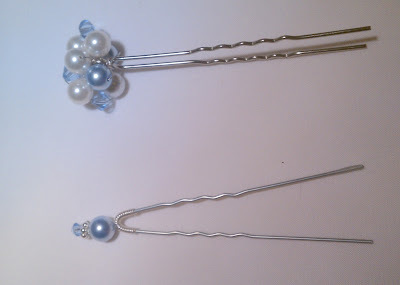 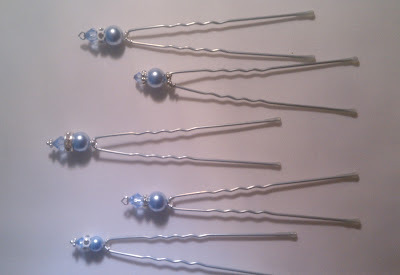 Through further conversations with Anastasia, she also requested that I create some hair pins to wear in her hair, which she will have in big loose curls - sounds gorgeous!! 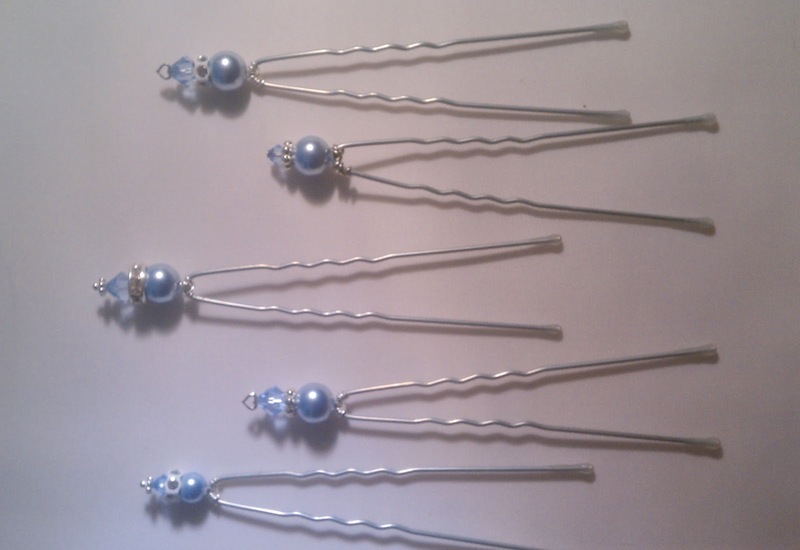 After a few attempts at various hair pins and clips, I asked her to send me some pictures of what she really wanted and I was able to find the exact V-shaped bobby pins and make these beautiful hair pins. 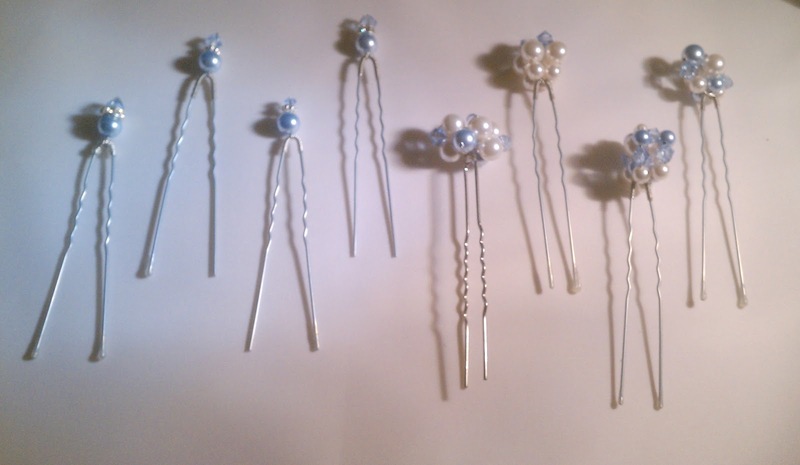 I made several different styles and asked her to pick which one(s) she liked best. She picked 2 of them and asked me to make 4 of each of them. 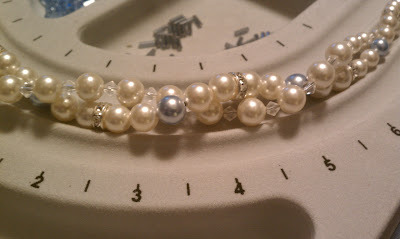 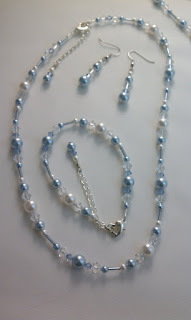 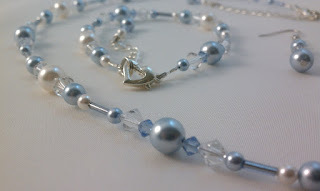 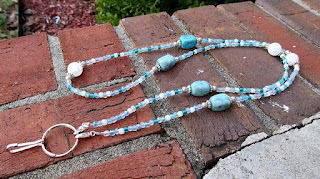 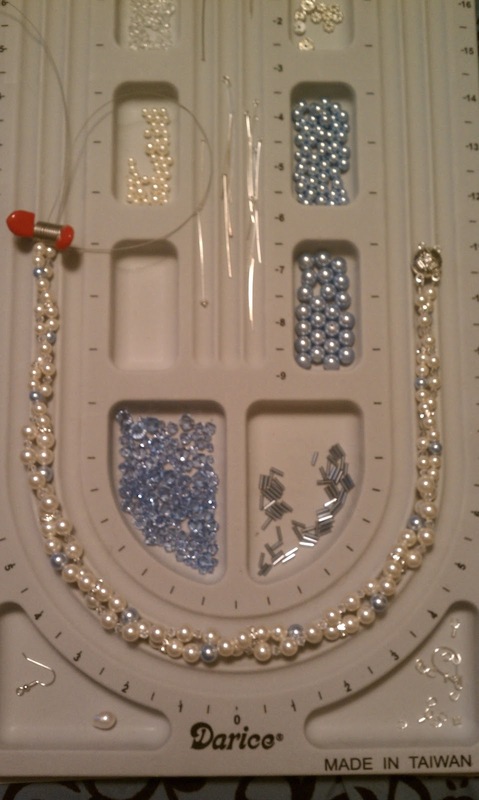 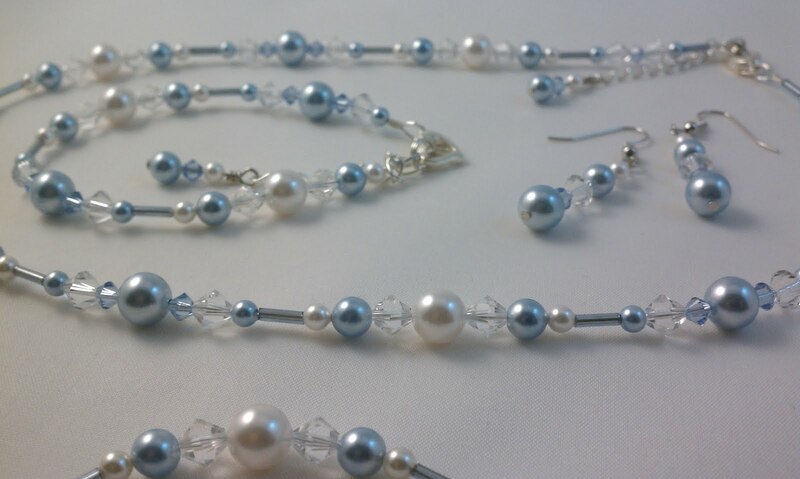 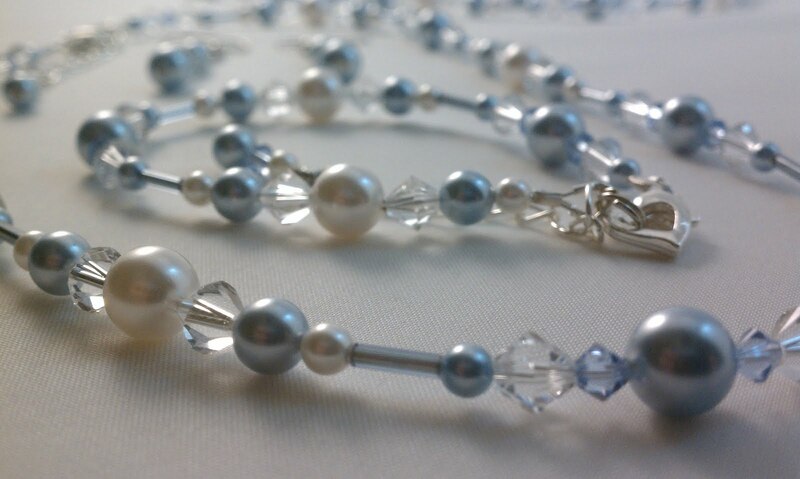 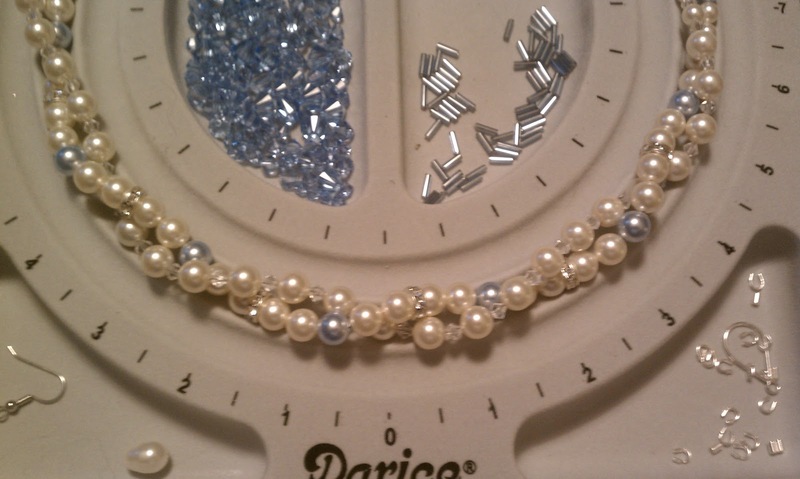 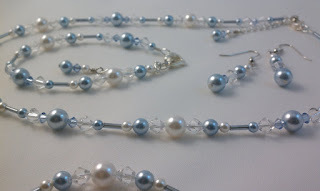 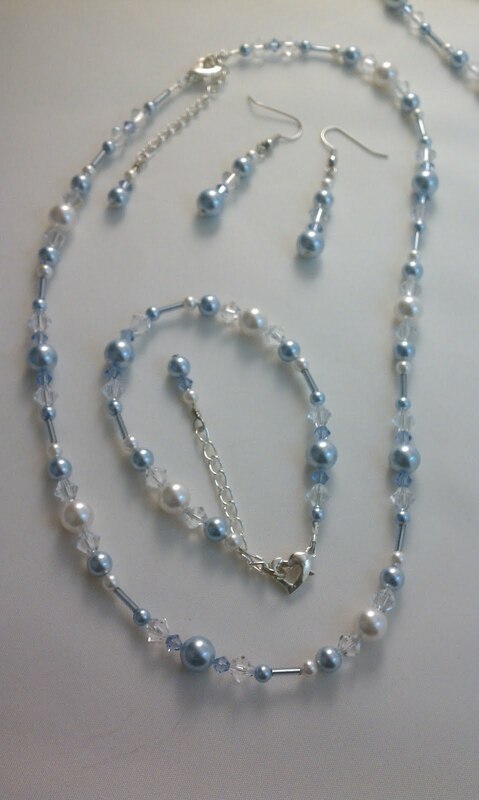 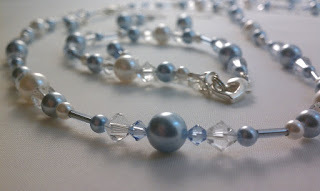 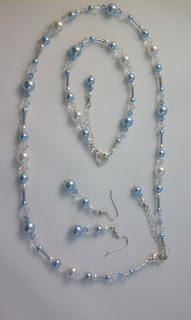 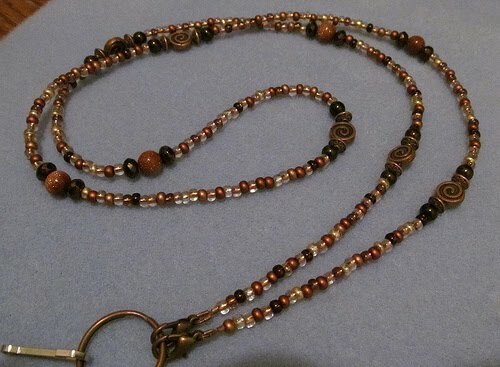 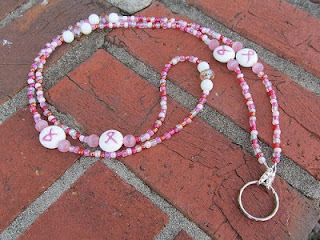 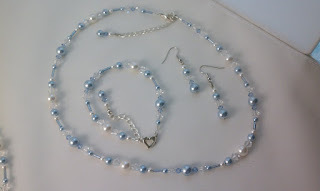 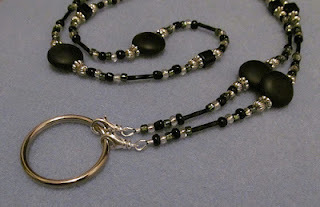 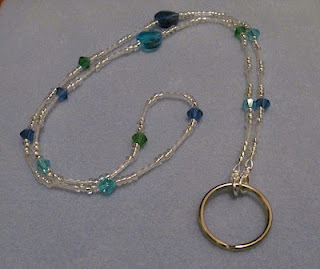 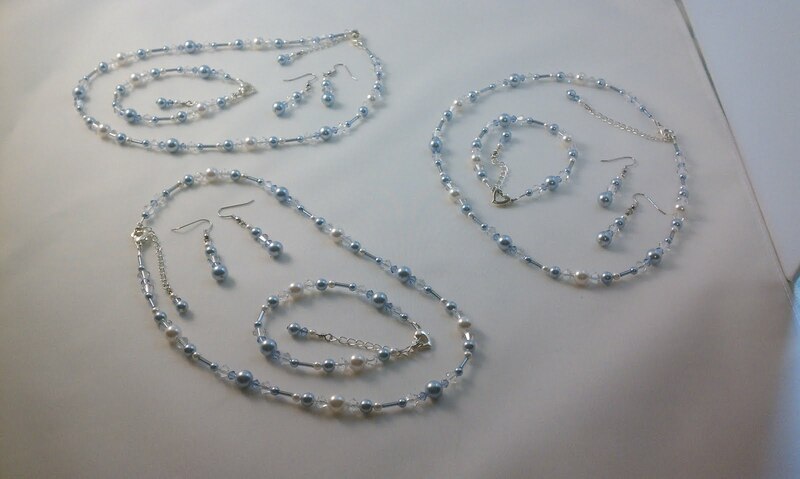 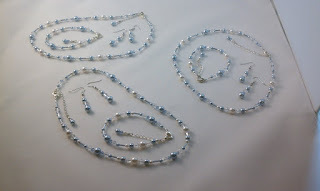 For more information on how to order custom handmade jewelry, please visit my website or contact me through my blog here.